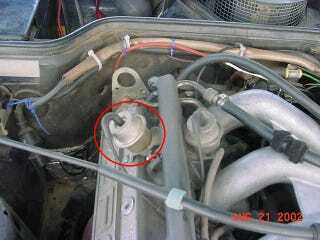 Would anybody happen to know how these fuel pressure regulators work internally? My jag has been having this problem where it runs really rich at idle to the point where it’ll stumble and eventually stall and I noticed there’s gas coming out of that little hose that goes from the fuel rail to regulator. So what I want to know is does the gas going from that little hose push a diaphragm inside the regulator to dictate the fuel pressure?